Step 1. Admitting you have a problem. yep. 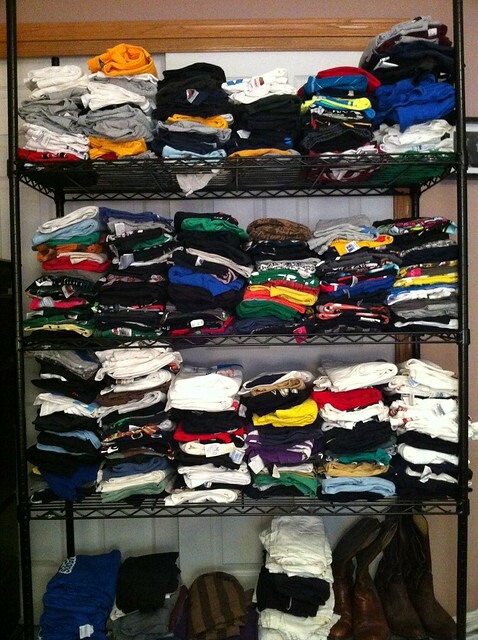 these are just my tees. At least it is organized! Your wife? no. that is all me. if my wife had a hand in this, there would only be 1 single stack on 1 shelf. Didn't you have a similar shot to this on your site, like, years ago? It was either tees or Soaps, I can't remember. If there was a therapy group, I'd be right there with you. 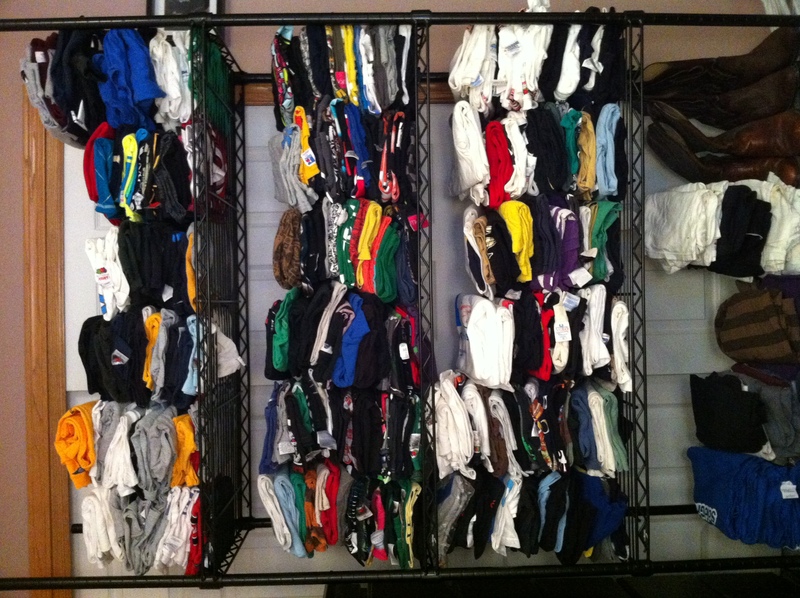 My name is Joe, and I have a problem getting rid of t-shirts. There is seriously a jnco tee from 8th grade in there. I'm calling the TV show "Hoarders" to come and do an intervention! This is roughly 3x the size of my entire wardrobe. ...But I will confess to a slight outerwear addiction. It's my one clothing weakness.